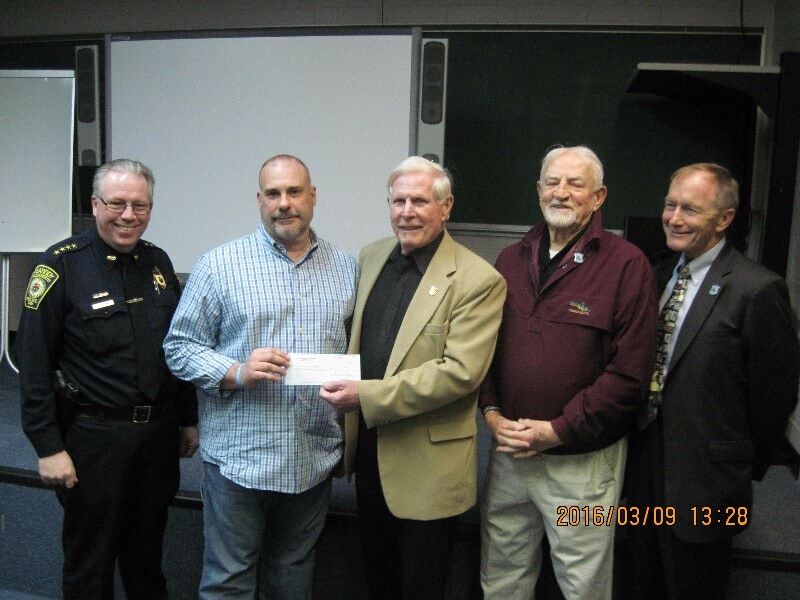 On March 9, 2016, Cops For Kids With Cancer went to the Peabody Police Department and made a $5,000.00 donation to the family of Ella O’Donnell, a 10 year old girl from Peabody who has brain cancer.Father Dennis an Everett police Officer. Ella not up for today. In photo Chief Thomas Griffin, Father Dennis O’Donnell, Bob Faherty, John McManus and Lieut. Det Bill Coulter, MSP all CFKWC.